In case you missed the big news, the Broadway adaptation of Disney’s Aladdin is flying into Singapore this July. 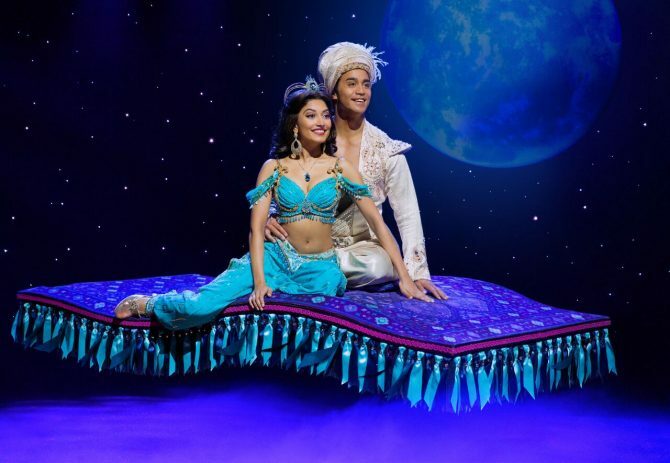 Aladdin the Musical will begin performances at the Marina Bay Sands Theatre from 21 July to 11 August 2019, and we cannot wait! Get your tickets now, if you haven’t done so already. 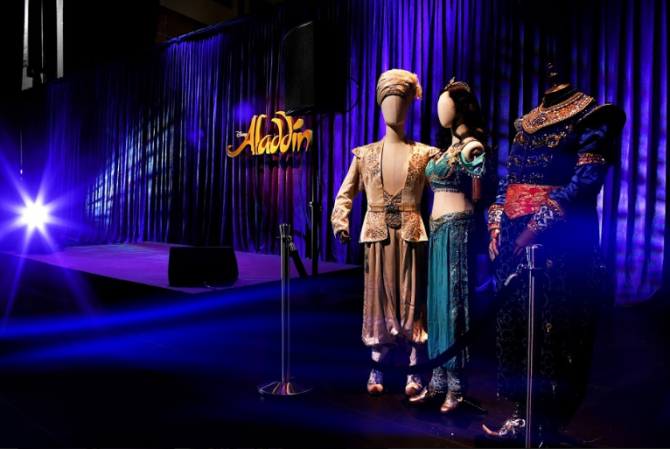 Featuring all the timeless tunes from the 1992 Disney movie such as “A Whole New World” and “Friend Like Me,” the musical will also include the songs that were cut from the original movie, as well as new songs written just for the musical production. All the music is composed by the Disney maestro Alan Menken, bringing the magic of old-school Disney to these less familiar songs. 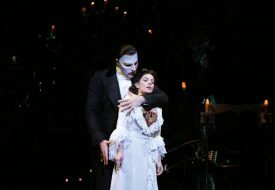 The Broadway adaptation is also widely known for its stunning costumes and sets. We know we are excited to see that flying carpet in the air! 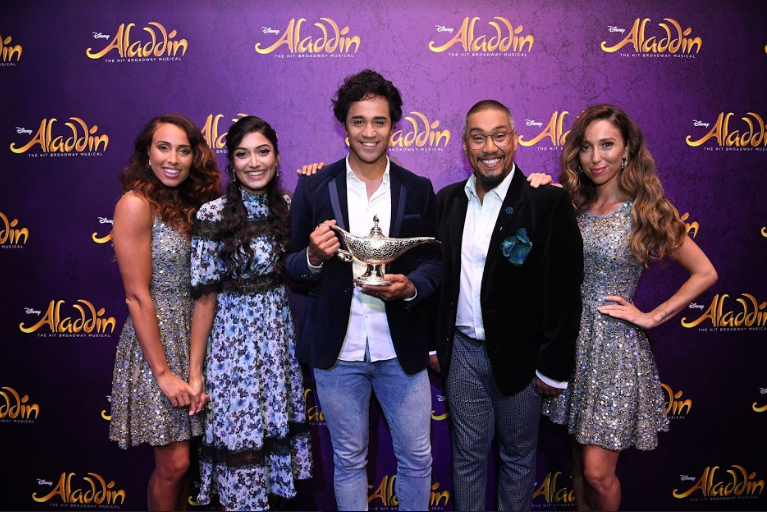 The cast of Aladdin the Musical that will be performing in Singapore is the current Australian cast, which has earned praises for their shows in not just Australia, but also on tour in Auckland, New Zealand. Singapore will be their only stop in Asia on their international tour. It’s so rare that we see a diverse cast on stage for a musical; the Singapore production is a chance to celebrate diverse representation in theatre, while immersing yourself in the magical and romantic world of Aladdin! What do you love about playing Aladdin, and bringing the iconic character to life on an international tour? Graeme Isaako: I love that I share similar traits to Aladdin. I’m quite a busy, on the go, big hearted person and to play the role of Aladdin feels right for me. I connect with him quite easily. Then of course there’s his cheeky side. I can be quite a cheeky, playful character. It’s a huge honour to play an iconic role. To play a Disney Prince has always been a dream of mine. 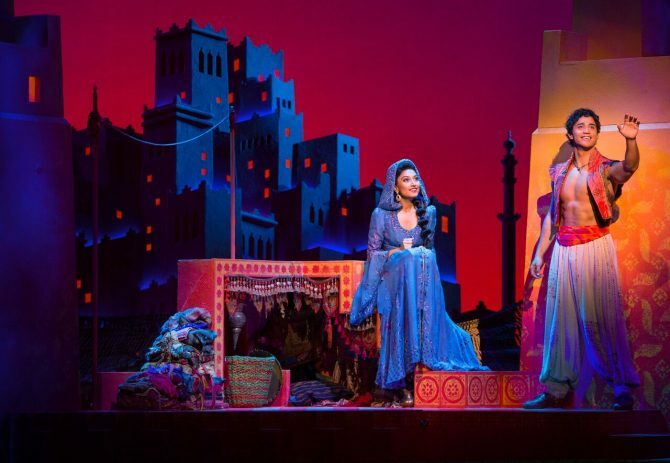 What is it like to play Jasmine, one of the most iconic Disney princesses on stage? Shubshri Kandiah: It is such an honour to play such a feisty, strong, intelligent and independent woman of colour of stage. Jasmine is such a role model to me. I love that she is never afraid to voice her opinion and stand up for what she believes in. I love stepping into her shoes every night. With the story and characters being so familiar to audiences already, how do you try to bring something new and fresh to the roles of Aladdin and Jasmine? Graeme Isaako: I stick to the script which gives the character the perfect foundation and then with our directors and choreographers we just layer that. I try every night to really listen to my co-stars and respond naturally so that the performance is as real and authentic as it should be. I also love to stay front footed and always an exciting and uplifting actor to watch. Always keeping the audience engaged. Shubshri Kandiah: I think the way the character is written in the musical is new and fresh. Although we do see a bit of this in the 1992 animated film, Jasmine is written with more of a feminist edge in the musical which gets a great response from the audience. She has awesome lines like “what’s wrong with a woman running the kingdom?” And I love hearing all the women in the audience ‘woo’ at that line. Graeme, given your dance background, can you share with us your thoughts on the choreography of ‘Aladdin’? Does it challenge you? Graeme Isaako: Casey Nicholaw has done an INCREDIBLE job on the shows choreography. Such intricate details especially with the arms and hips. Very Arabian-esque which really challenges us as a cast to commit to the angles and precision of every movement. It can be tiring in the moment but the real joy comes when the audiences smile and cheer and appreciate your hard work. I’m very lucky that Aladdin the character actually gets to dance in a few big numbers. This isn’t always the case for the title roles. So I appreciate this and never take it for granted. There are several original songs created for the musical. What are some of your favourite songs that you think us audiences should be excited for? Graeme Isaako: Definitely get excited about “A Whole New World”. 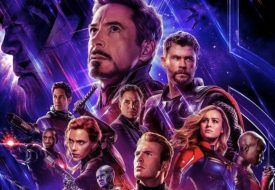 One of Disney’s most classic and dearly loved songs with literally a FLYING CARPET sends audiences into tears. Such a spectacular and unforgettable experience in the show that is well worth waiting for. “Friend Like Me” is also a huge bonus for the show. Genie breaks the fourth wall and really invites the audience into his world. 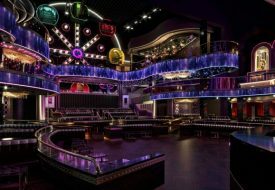 With pyrotechnics and gold almost everywhere on stage, to tens of thousands of Swarovski Crystals, this number will surely leave your jaw dropping. [Aladdin the Musical] truly is magical. This show will leave you sitting at the edge of your seat, you will have a sore stomach from laughing so much, and you will go on a beautiful journey of love. So why not come and enjoy! Shubshri Kandiah: My favourite song that I do is one of the new songs written for the show. It’s called “A Million Miles Away” and it’s a song between Aladdin and Jasmine when they’re on the rooftop singing about hopes and dreams. I love it because it’s a really intimate moment and the pair realise how similar they are. It’s definitely a moment of magic for me. And another of my favourites is “High Adventure,” which is a song by Aladdin’s three friends when they are coming to rescue him. It’s absolutely hilarious and leaves me in stitches every night.